Select the type of vacation you would enjoy the most this winter. Would you rather save money on your vaction or splurge? Would you like to sample unique food? Or stick to what you are used to? How important is exploring nature and ecological diversity to your vacation? Do you plan on celebrating your vacation with any intoxicating substances? If so, which ones? Is there such a thing as a climate being "too hot"? How important is it to you that you vacation somewhere with low-crime and considered safe for tourists? Would a few rainy days ruin your vacation? Winter is here and it is cold. Getting away for the winter is a great way to recharge your batteries and get some much-needed vitamin D during the cold months. 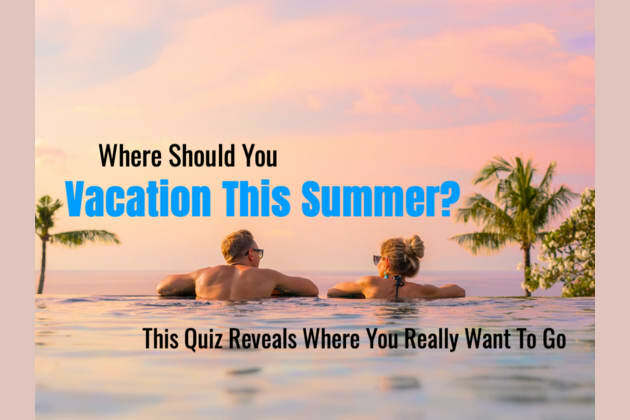 Take this quiz and we'll determine where you should vacation this winter.